Metro Goldwyn Mayer Pictures (MGM) has partnered with Monkeypaw Productions’ Jordan Peele & Win Rosenfeld to produce a re-imagining of Candyman, the 1992 horror classic adapted from Clive Barker’s short story The Forbidden. The announcement was made today by Jonathan Glickman, MGM’s President, Motion Picture Group. Rising filmmaker Nia DaCosta (Little Woods) will direct from a screenplay by Peele and Rosenfeld. The film, a “spiritual sequel” to the original, returns to the neighborhood where the legend began: the now-gentrified section of Chicago where the Cabrini-Green housing projects once stood. Production is expected to begin Spring 2019. Universal Pictures will release Candyman theatrically in the U.S. on June 12, 2020. Peele wrote and directed the critically claimed Get Out which earned $250M worldwide for Universal Pictures. The film received four Academy Awards nominations including Best Actor, Best Director, Best Picture and earned Peele the Oscar for Best Original Screenplay. “The original was a landmark film for black representation in the horror genre. Alongside Night of the Living Dead, Candyman was a major inspiration for me as filmmaker -- and to have a bold new talent like Nia at the helm of this project is truly exciting. We are honored to bring the next chapter in the Candyman canon to life and eager to provide new audiences with an entry point to Clive Barker’s legend,” said Peele. MGM recently released Steven Caple Jr.’s Creed II, starring Michael B. Jordan and Sylvester Stallone, setting the record for highest grossing live action opener across Thanksgiving. Upcoming on the MGM film slate is Fighting With My Family, a comedy-drama written and directed by Stephen Merchant, based on the true personal story of WWE Superstar PaigeTM and her family of professional wrestlers, starring Florence Pugh, Vince Vaughn and Dwayne Johnson, in New York and Los Angeles on February 14, 2019, expanding wide on February 22, 2019; The Hustle, a hilarious new comedy starring Academy Award winner Anne Hathaway and Rebel Wilson, which will be released in theaters on May 10, 2019; Conrad Vernon and Greg Tiernan’s animated adaption of The Addams Family featuring the voices of Oscar Isaac, Charlize Theron, Chloë Grace Moretz, Finn Wolfhard, Nick Kroll, Bette Midler and Allison Janney, in theaters on October 18, 2019; the feature adaptation of Nicola Yoon’s best-selling novel The Sun Is Also A Star with Warner Bros. Pictures, directed by Ry Russo-Young and starring Yara Shahidi and Charles Melton, in theaters on May 17, 2019; the 25th installment of EON Productions, MGM and Universal Pictures’ James Bond film directed by Cary Fukunaga and starring Daniel Craig which will be released theatrically in the U.S. on February 14, 2020 and Legally Blonde 3 starring Reese Witherspoon in her return to the beloved character Elle Woods, is scheduled for release on May 8, 2020. Under the Monkeypaw Productions banner, Jordan Peele wrote, produced and directed the critically acclaimed blockbuster Get Out, which received four Academy Awards nominations and earned Peele the Oscar for his screenplay. Most recently, Monkeypaw produced Peele's second original feature, Us, for Universal Pictures. The social thriller starring Lupita Nyong’o will be released in March 2019. Earlier this year, the company produced Spike Lee’s BlackkKlansman, the true story of an African-American detective who infiltrated the KKK. Monkeypaw is also working on the stop-motion animated feature, Wendell & Wild, from director Henry Selick for Netflix. On the TV side, Monkeypaw is producing the upcoming docuseries Lorena, an examination of the infamous Lorena Bobbitt case, which will be released in early 2019 for Amazon Studios. Also with Amazon, Monkeypaw is developing The Hunt, a series based on true events that follows a diverse band of revenge-seeking Nazi hunters in 1970s America. Additionally, Monkeypaw is producing Lovecraft Country for HBO, an anthological sci-fi thriller series set in the 1950s Jim Crow South, in conjunction with J.J. Abrams’ Bad Robot; Weird City, a sci-fi comedy that will air on YouTube Originals; and the second season of The Last O.G., the TBS comedy starring Tracy Morgan and Tiffany Haddish. Also currently in production for Monkeypaw is a new installment of Rod Serling’s visionary television series, The Twilight Zone, in which Peele will revive the iconic role of the narrator. Produced with CBS Television Studios in association with Simon Kinberg’s Genre Films, the mind-bending anthology series will air exclusively on CBS All Access. DaCosta is represented by CAA, Management 360, Jodi Shields at Casarotto, and Attorney Nina Shaw. Peele and Monkeypaw Productions are represented by CAA, Artists First and Jared Levine at Morris Yorn. 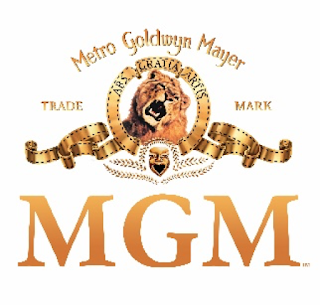 Metro Goldwyn Mayer is a leading entertainment company focused on the production and global distribution of film and television content across all platforms. The company owns one of the world’s deepest libraries of premium film and television content. In addition, MGM has investments in numerous television channels. 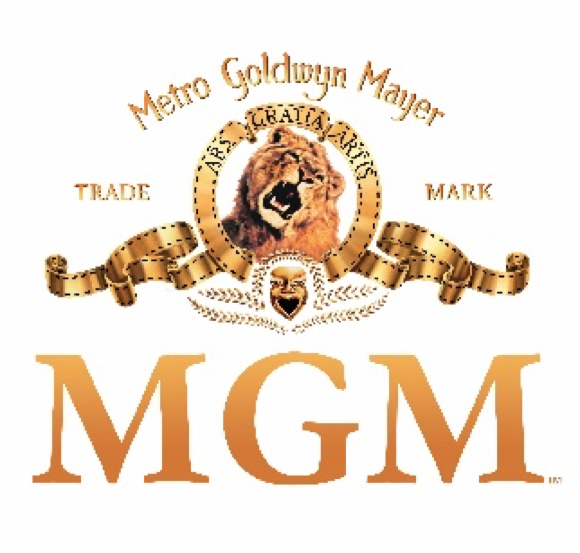 For more information, visit www.mgm.com. Founded in 2012 by Jordan Peele, Monkeypaw Productions cultivates artistic, thought-provoking projects across film, television and digital platforms. The company is committed to groundbreaking storytelling, visionary world-building and the unpacking of contemporary social issues. Monkeypaw Productions champions artistic collaborations with unique and traditionally underrepresented voices.